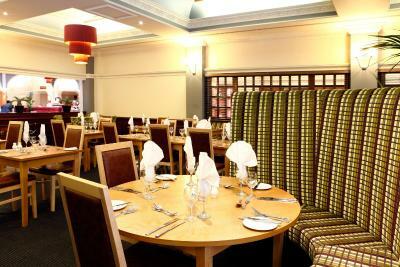 Lock in a great price for The Royal Hotel Hull - rated 8.1 by recent guests. Trick question.. the building itself nothing wrong...or did I mean property as your question provoked?? Breakfast was good. Liked location close to station and centre of town. Car Parking very easy and appreciated. Staff friendly and helpful. Breakfast ok. Very expencive if you do not off pay. 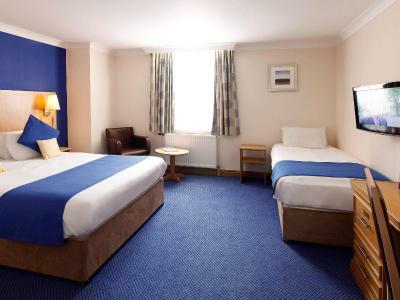 good room and bathroom, we liked the restaurant good food, short walk to the shops. I think we got lucky with the parking there was only 1 spot left and we got it. lifts to the rooms. 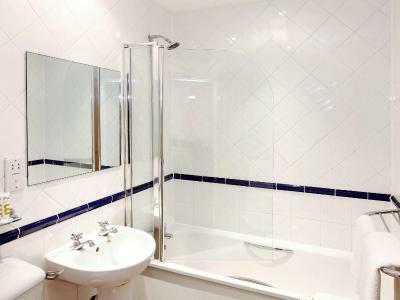 Adequately spaced, furniture in the room besides the bed and the shower was fantastic both clean and excellent flow of water. Issue of dirty bedding was addressed in a timely manner. The bed was really comfy. I had tea and coffee in the room. The room was nicely cleaned. 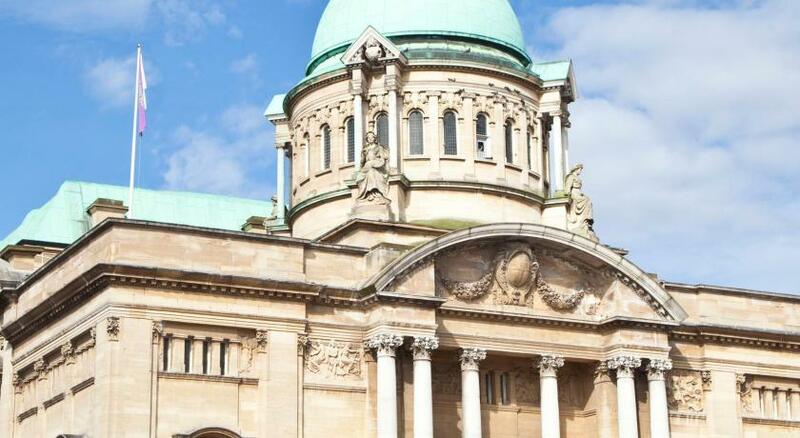 One of our bestsellers in Hull! 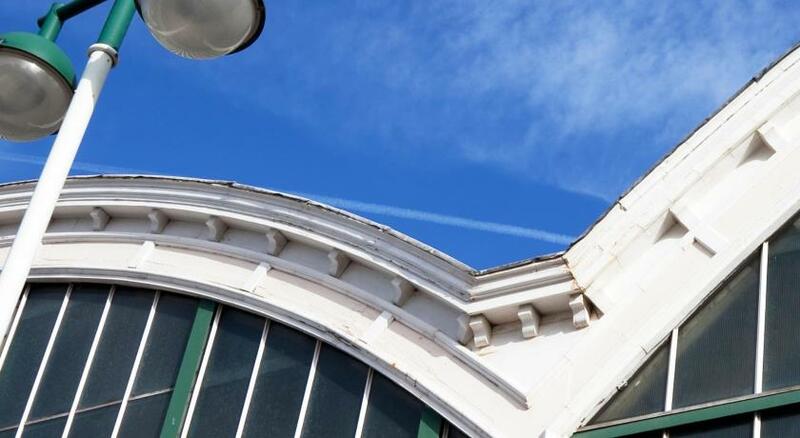 With a direct entrance to Hull's central Paragon Station, this grand, Victorian hotel is just a minute's walk from St Stephen's shopping centre. 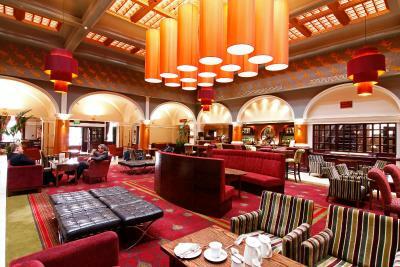 It offers free WiFi and surcharge on-site parking. 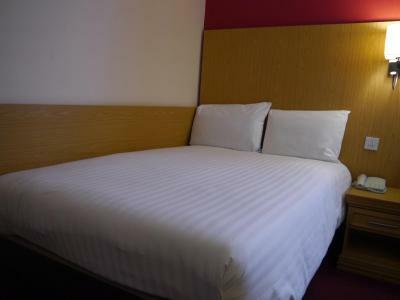 The Royal Hotel Hull is ideally located in the heart of Hull city centre, with an array of shops, restaurants and museums within easy walking distance. The Deep aquarium is less than 10 minutes' drive away, while the Kcom Stadium is less than 10 minutes by car. The A63/M62 motorway is also nearby and easily accessible. 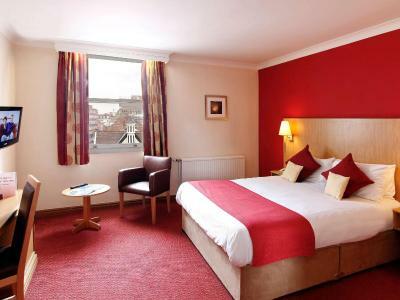 Each modern room at the The Royal Hotel Hull features a flat-screen TV with an en suite bathroom and a hairdryer. Other facilities include tea/coffee and ironing facilities. 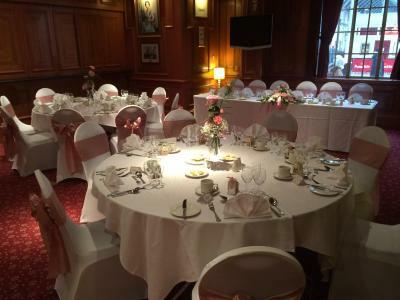 Guests can enjoy an à la carte menu at the The Royal Hotel Hull's restaurant, as well as afternoon tea or a buffet-style full English breakfast. 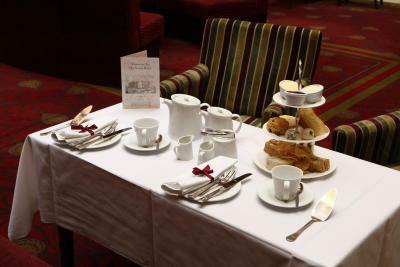 Breakfast is served from 07:30 until 09:30 and dinner is served until 21:30. 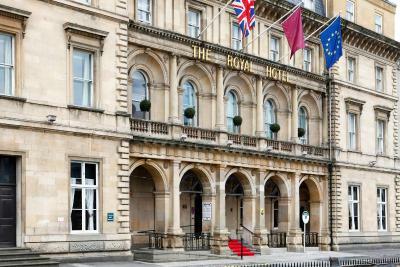 The Royal Hotel Hull has been welcoming Booking.com guests since 28 May 2010. 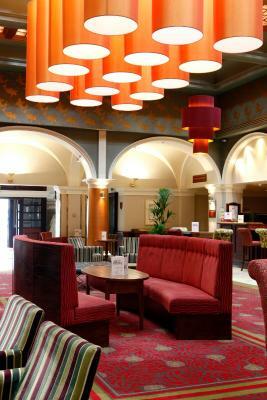 When would you like to stay at The Royal Hotel Hull? 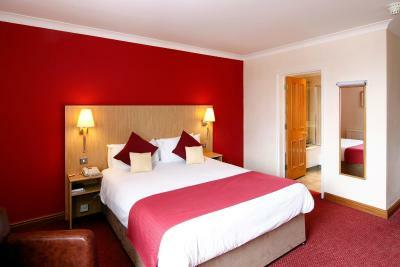 Features include a 32-inch TV, tea and coffee making facilities, and a modern en suite bathroom. Private parking is possible on site (reservation is not needed) and costs GBP 8 per day. 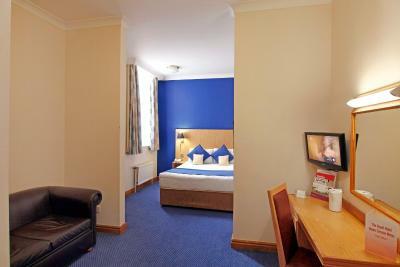 Spacious room with a 32-inch TV, Nepresso coffee machine and bathrobe & slippers. 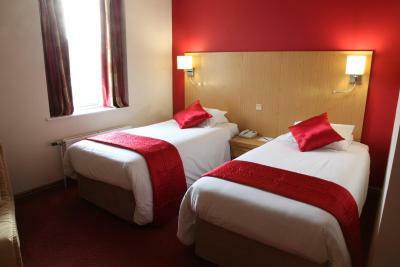 Bottled mineral water and a modern en-suite bathroom are also on offer. 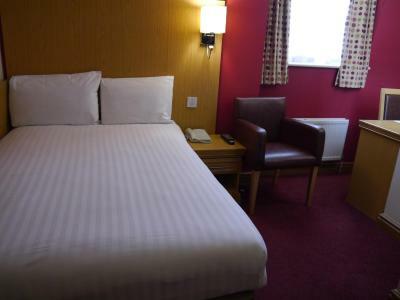 Features a small 4-foot double bed, a 32-inch TV, tea and coffee making facilities, and an en-suite bathroom. WiFi is available in public areas and costs GBP 7 per 24 hours. 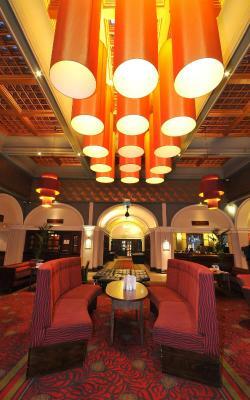 House rules The Royal Hotel Hull takes special requests - add in the next step! The Royal Hotel Hull accepts these cards and reserves the right to temporarily hold an amount prior to arrival. 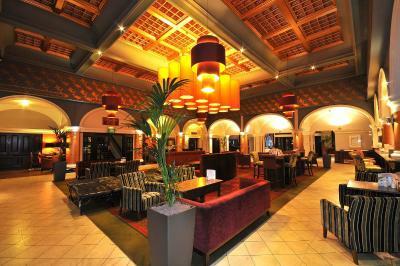 Please note that guests are required to show a photo identification and the credit card used to book on arrival. Guests should kindly note that parking is on a first-come, first-served basis. I didn’t like the fire alarm sounding every 15 minutes throughout the night...And how dare they demand my car registration number when I wasn’t even parked near the hotel.. and not that there was anywhere to park in their car park either.. no us.. but on our way out we discovered that at 10 past 11am staff were very attentive to getting residents to leave... this loyalty to company procedure would have been more welcome in the more service focused areas of the business.. 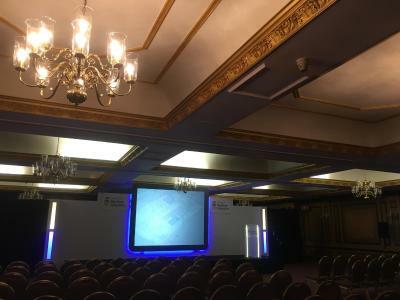 Although I appreciate it was a cheep hotel I am frustrated that given the location and potential so much more could be achieved. I did like my stay overall but for different reasons, nostalgia being the key. Owners get your staff smiling again and the difference within a short space of time could be an extra £20 pound per night which could help in the long run.. 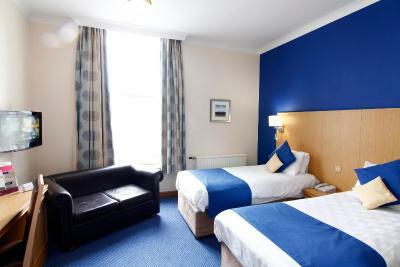 Such a good location, rooms cleaned and modern with everything what you need! When I got a shower the water was cold.. our checkout time was 11am the cleaner was knocking on our door asking what time r we leaving !!! I like the property because it was very comfortable plus it was close by too my work and friendly staff. Lounge area homely and comfortable. The bathroom was small but functional. The room and bed were comfortable. the staff on the reception where not to helpful. had to pay for parking. when I asked about breakfast which we booked the same time as the room we had to pay up front like a cafe! They had a trolly for luggage but the reception staff did not make this available to us, why.